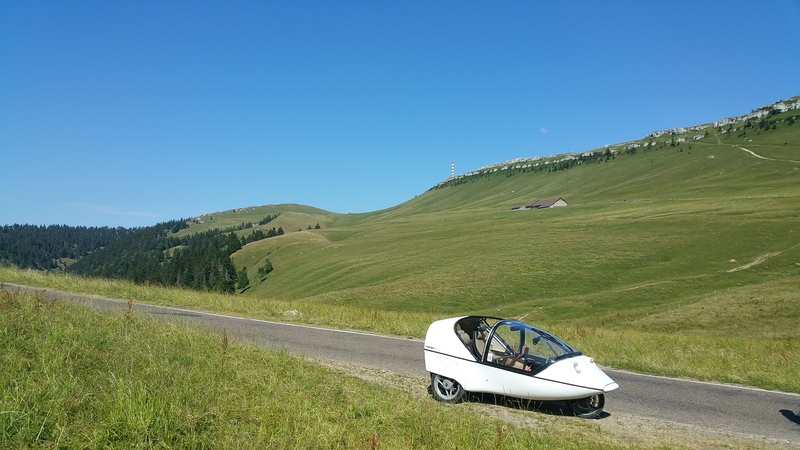 One-day trips are one of the nicest forms of TWIKE travel. 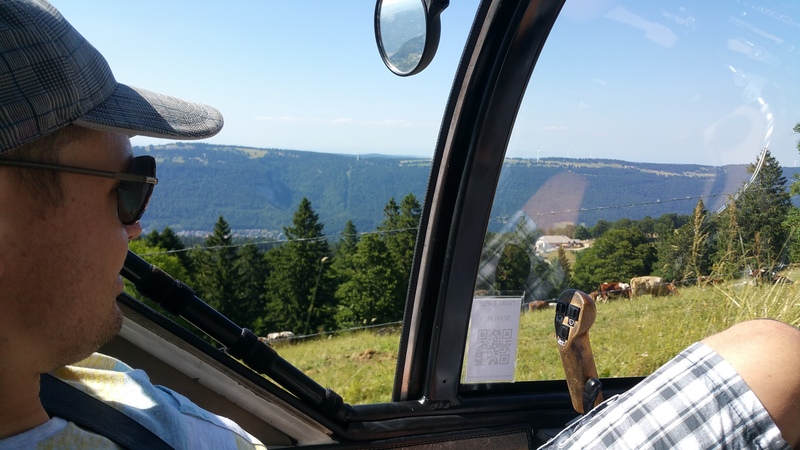 After our last trip together, visiting the Italian part of Switzerland – Nico and i had always been wanting to take TW560 on another spin somewhere nice, together. As always, life goes by really quickly and Nico’s high-powered career with lots of international travel and myself being also quite busy didn’t help either. Finally, In January 2015 we fixed a date for our second adventure after a 3 year break… in July 2015! 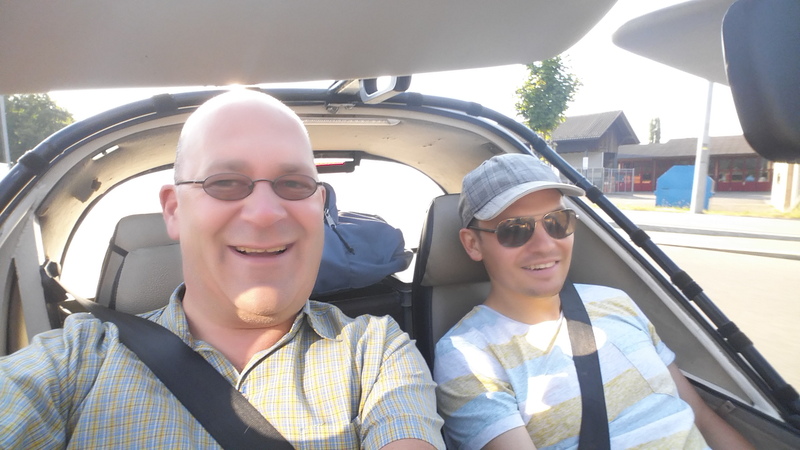 Already with some ev-travel experience himself, I asked Nico in which general direction he wanted to go. His answer was: the Jura. he had never been to this part of Switzerland. 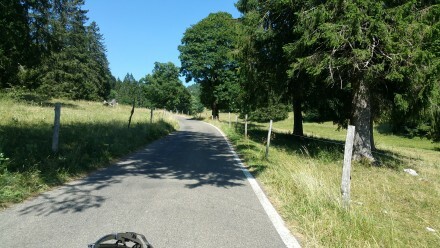 I’ve been to the Jura many, many times and like this part of Switzerland very much. 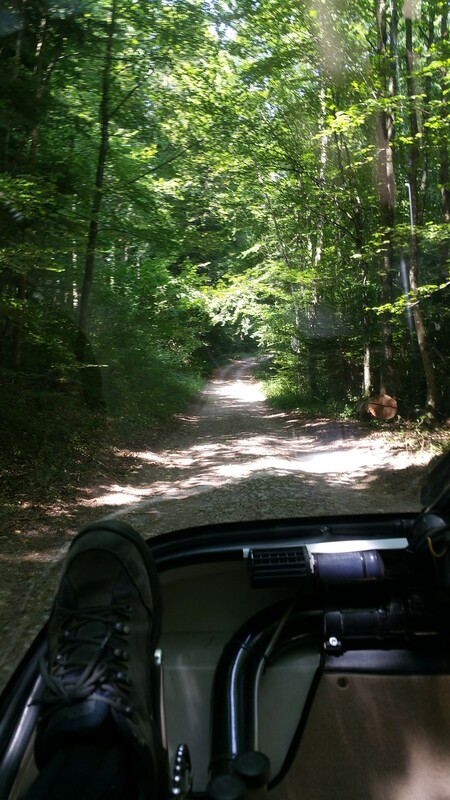 Since we both didn’t want to add any further details to our plan, we just knew we were going to the Jura on that date…and left it at that. 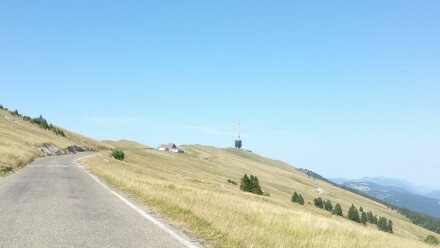 To give you a general idea of where the Jura is located, see our GPS-track of today, below. 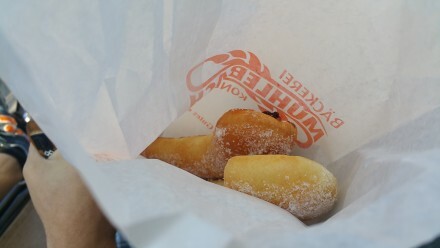 Our day starts with us driving to our local bakery. We buy some Appenzeller Nussgipfel – a specialty from Appenzell, a region in eastern Switzerland, about which i’ve already written on this blog here and here. We start our trip with Nico in the pilots’ seat – when traveling, a team picture is a must! 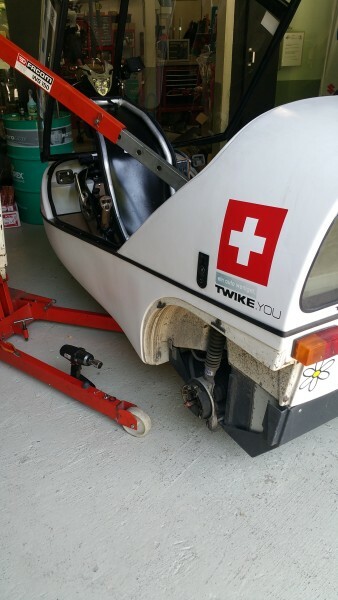 Nico and myself – another fine TWIKE TW560 team! We’re not in any danger of getting lost until Basel: my village is just 1km from the river Rhine which 85 kilometres further downstream will weave its way through Basel. 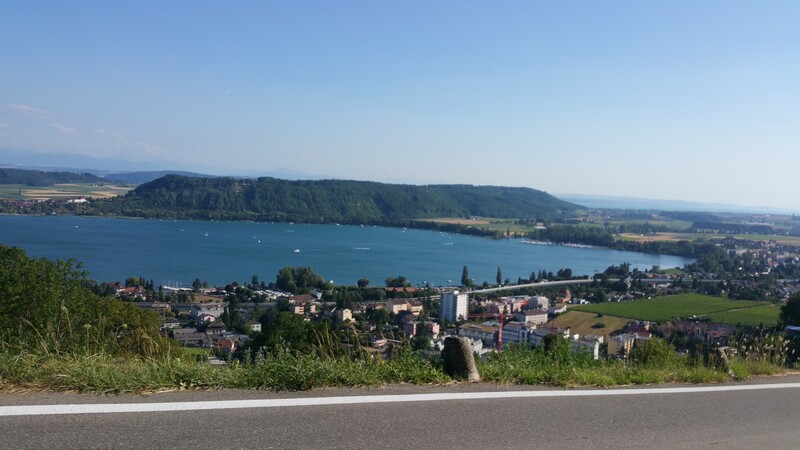 We, however, for the first 75km have one important choice to make: Swiss side or German side of the Rhine? 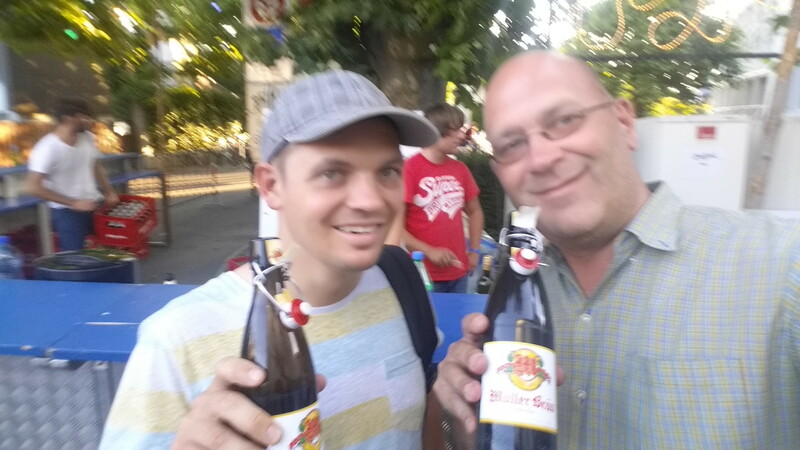 Since Nico knows the German side less, we cross over to Germany using the first available bridge at Kaiserstuhl. 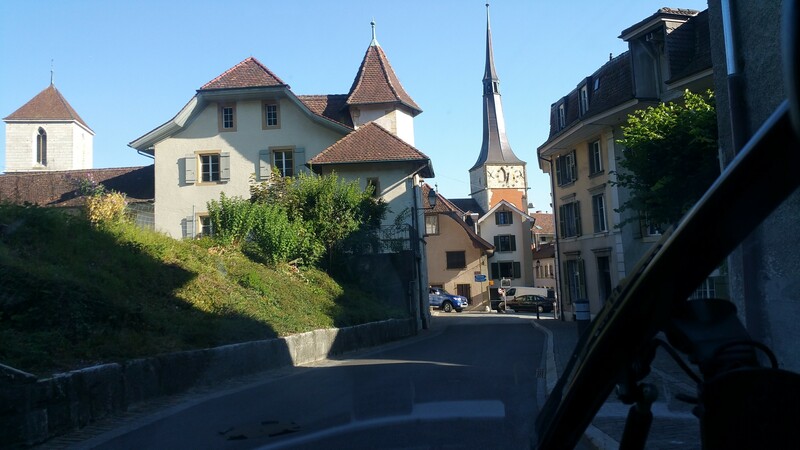 After a little more than an hour we arrive in Basel. I once lived in close-by Rheinfelden for about 4 months and during this time discovered this beautiful, colourful and interesting city. 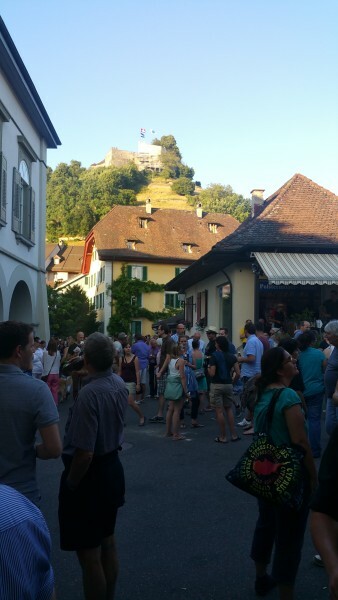 It’s a place where cultures (German, French , Swiss) and languages (German, Alemannic, French, Basle Dialect) mix, giving it a ver open character whilst at the same time holding up traditions such as the Carinval of Basel with its infamous Morgestraich at 4am. 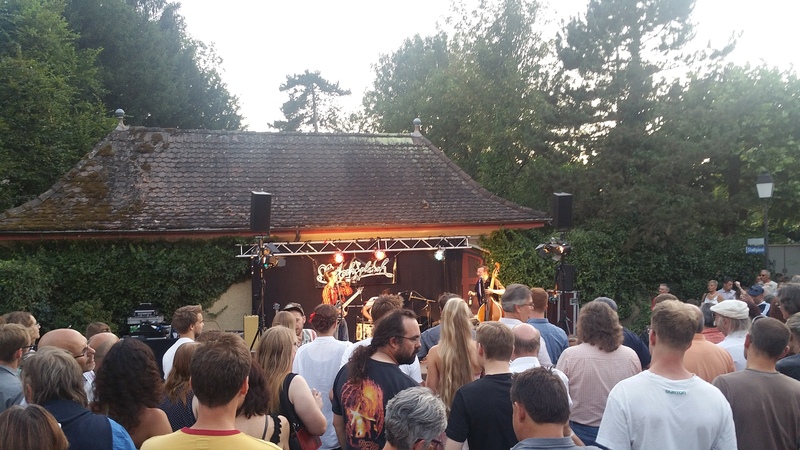 It’s a way of life and basis for social cohesion in Basel – many people and groups work all year to prepare for this event. I know people originally from Basel in diaspora in far-off places as Romanshorn (sic) that have their participation at the Carnival included in their work contract, overriding *any and all* other obligations! 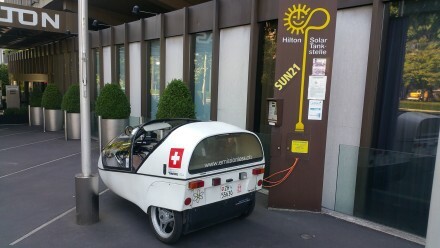 The best charging station in Basel is the one at the Hilton Hotel. TW560 has charged here many, many times! 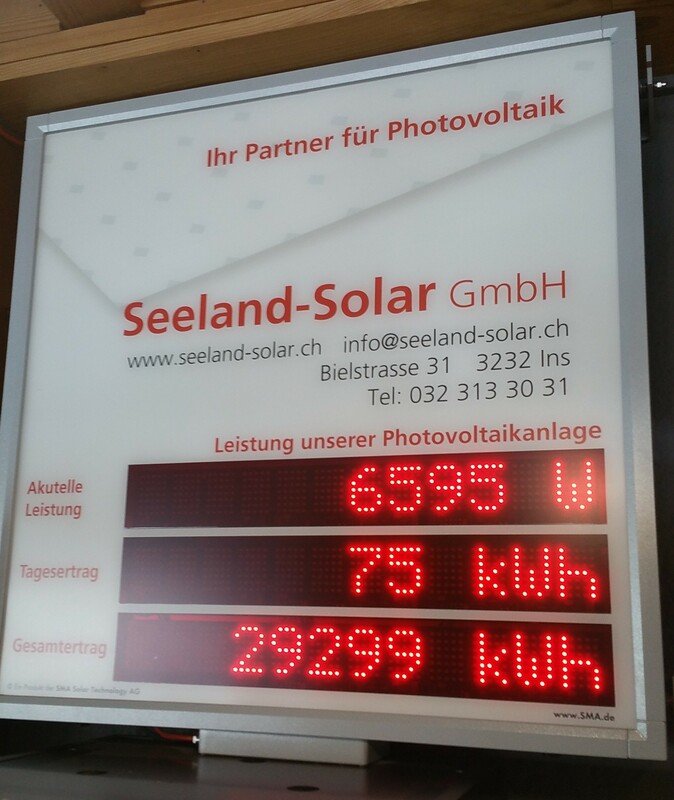 The charge is 100% solar and since it’s a Park&Charge station with P&C key and 32A on one phase max, one doesn’t have to fight for a charge with Tesla’s & Co.
Whilst we’re on the issue: There are some charging stations which already today give you an idea how electric mobility can/will be: Let’s take this charging station (the one in the centre – Glattcenter) as an example. 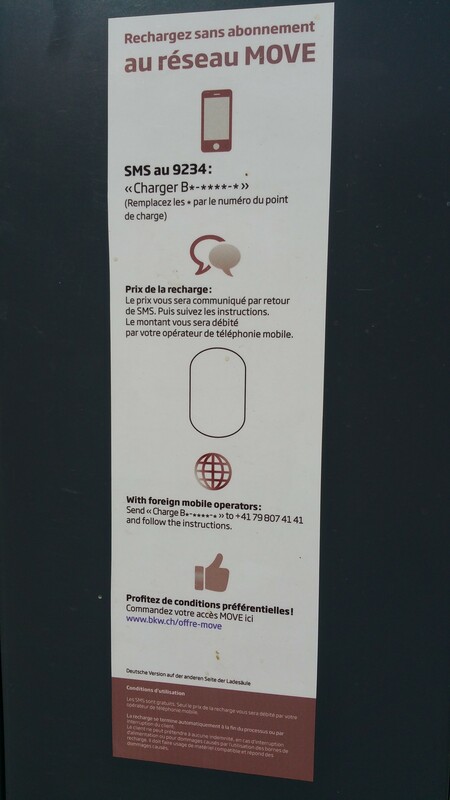 This charging station has been in operation for about 6 years. 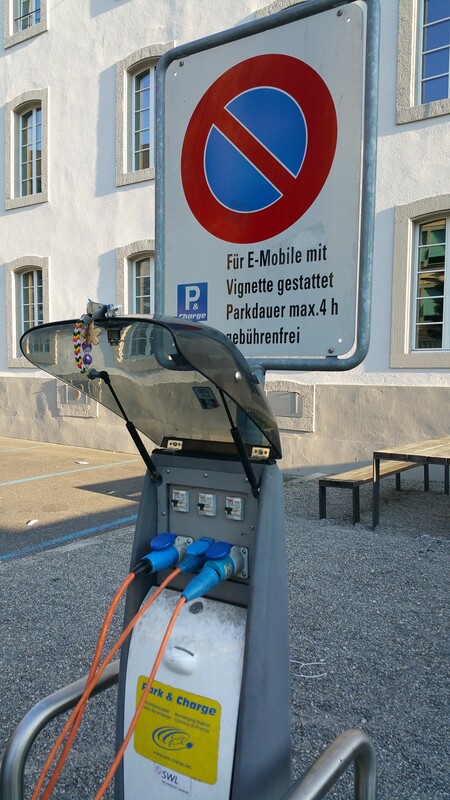 Until 2012, any time I would get there, the charging station would be available. Nowadays, however, the chance to be able to charge is close to 0%. Why? Friendly Tesla’s are hogging the station and charge 50+kWh at a time, blocking the charger for hours! Why? This is a shopping centre, not a place to optimize energy costs for a $100k+ vehicle! It turns out Nico doesn’t know Basel well. 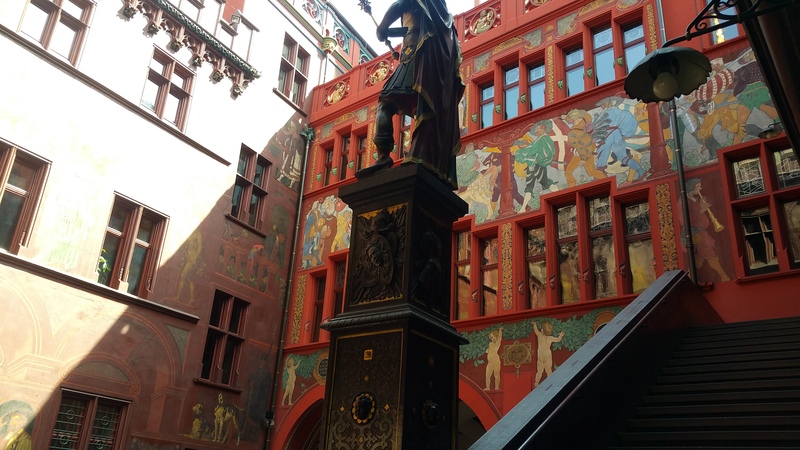 I take him to some of the must-see places… such as Basel’s town hall. Click the image below for a high-resolution version of the picture. 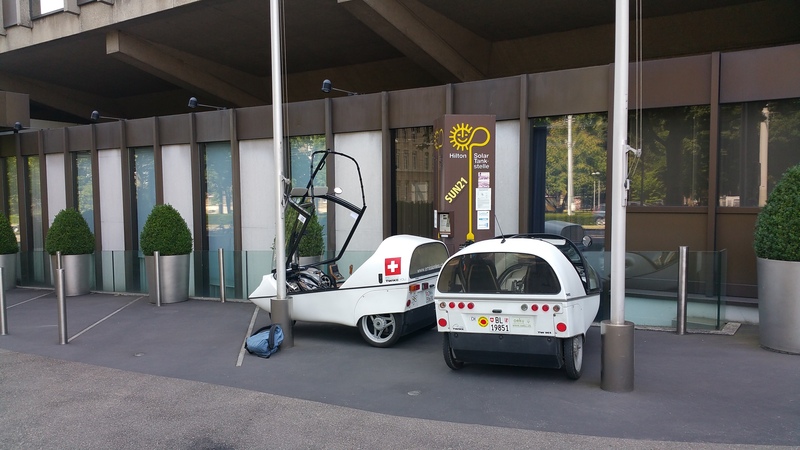 Basel offers many sights and attractions. I feel like repeating myself over and over again 🙂 …if you’ve not yet been to Basel, please plan to visit … soon! 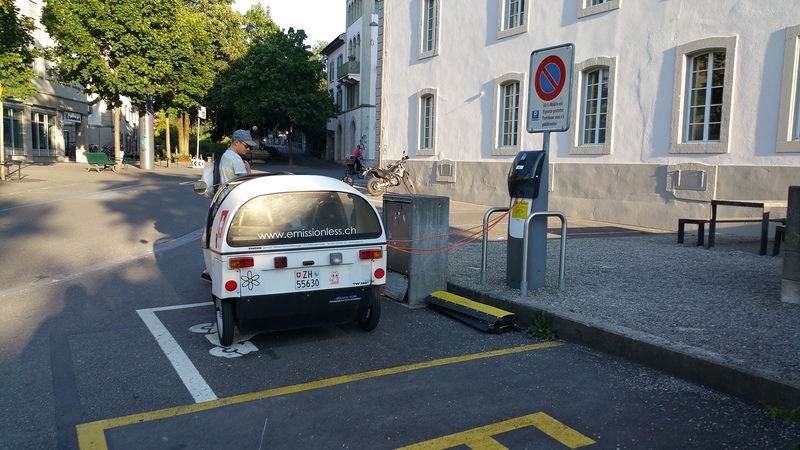 Fully charged, we leave Basel behind us and head west towards a meandering French border which we will be crossing many, many times today. This region is interesting because it very simply shows past allegiances towards countries / regions. 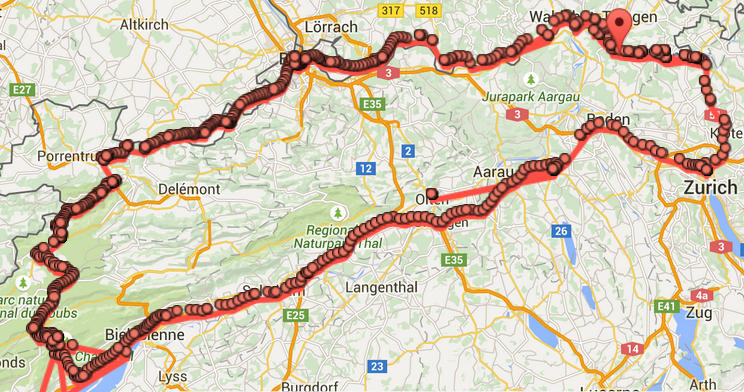 Follow the Swiss/French border from Basel westwards in the map below to see what I mean. 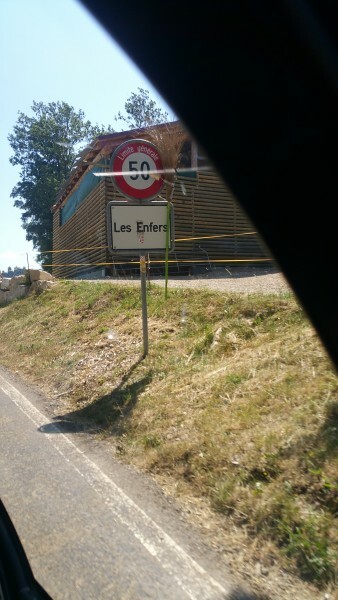 We drive through rural landscapes. 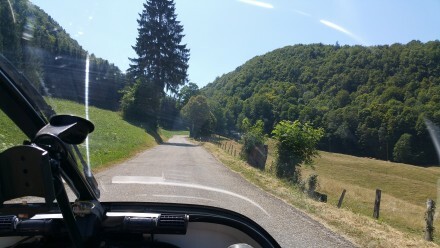 Small villages and single lane roads: TWIKE heaven! …until it wasn’t. 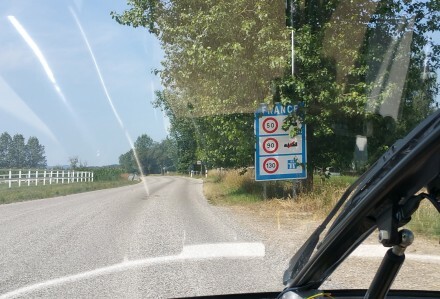 Just outside Lucelle, I take over and immediately notice TW560 behaving strangely, just like I already had experienced…here. A punctured tyre. 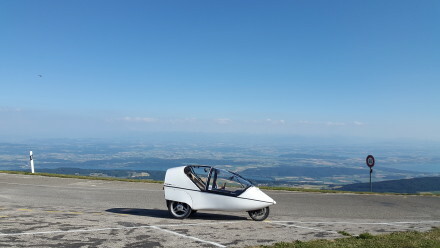 We made it – just – to the next petrol station. 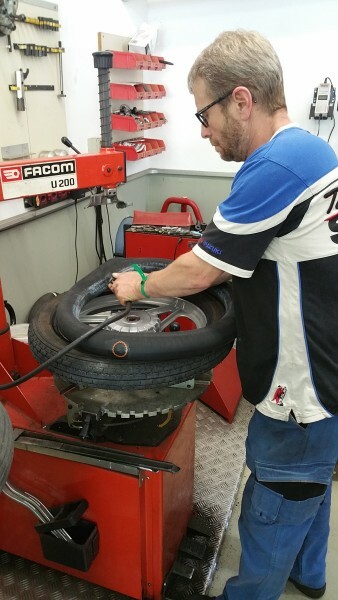 This time it wasn’t a huge hole, just a small puncture. Whilst I was pumping the tyre, Nico’s good friend Google told him where to find a motorbike mechanic which was still open Saturday afternoon. we made it … just! Our mechanic was very helpful: not only did he take care of TW560 right away – he was very open towards my inputs how to best get the tyre off TW560, too. 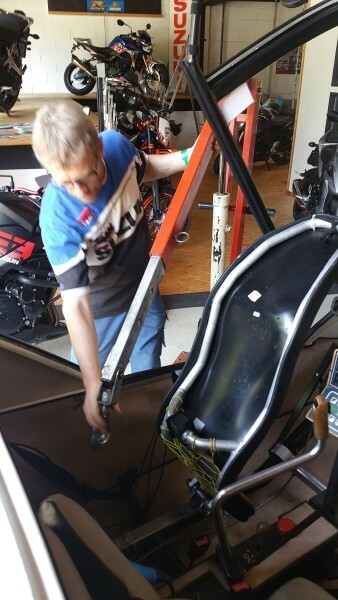 A simple lift combined with a sling lifting TW560’s chassis from inside did the trick! Speaking fluent French didn’t hurt either: Soon we were chatting about TWIKEs, life in one of the less developed regions of Switzerland and places worth a visit (many). 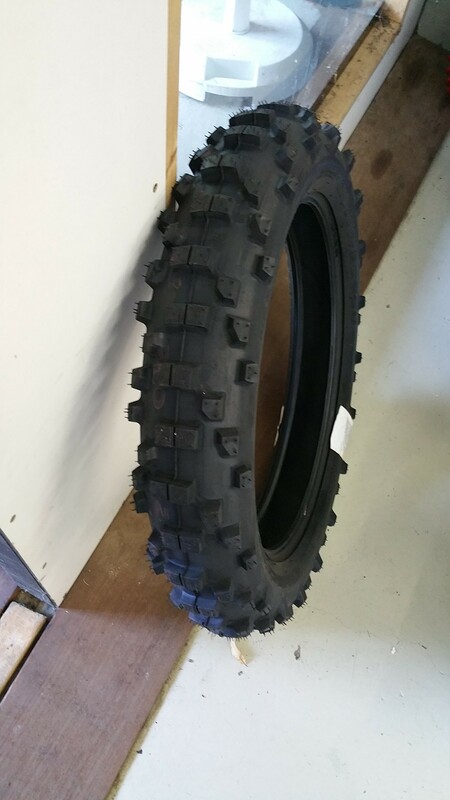 tyres for our next TWIKE off-road trip? Just 40 minutes later, we’re done. 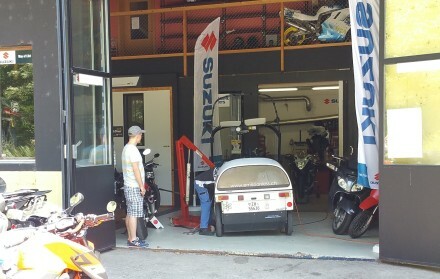 Coming from Zürich, I was truly shocked to learn what our mechanic wanted for his work: 40% of what I would usually pay! I added a generous gratuity as a thank-you for this prompt service! And off we go: our day and trip saved! back on the road & happy! Even with our time spent repairing our TWIKE, we still are able to stick to our original plan and drive through the Jura region on small, single lane roads. When driving through this region, there is one thing you can be sure about: You’re either driving up or downhill… hills rule supreme here. les enfers – multiple hells await us! After climbing back up to a plateau, we stop at a village where every year I and my family used to spend a week or so beginning February when our kids were very young: Montfaucon. Back to us stopping in Montfaucon. 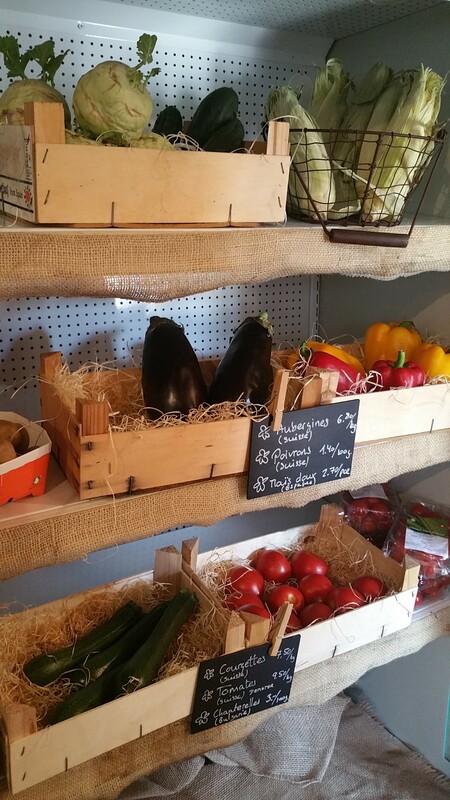 We discover an all-female led shop selling local produce in a beautifully restored old farm-house right in the middle of Montfaucon… how could we resist? See for yourself! I just love this kind of product presentation!! We have some home-made ice-cream (cinnamon) and I am introduced to the shop’s vast selection of locally-made cheeses by a very proud and knowledgeable shop owner. my loot – how could i resist? We then head towards another must-visit place in Switzerland – the Chasseral. Our Saturday afternoon is at near-perfect temperature, visibility is outstanding and we’re both having a great time! This is life at its best! Our views become increasingly interesting whilst our charge is dwindling quickly – we are climbing up to 1600+m altitude! 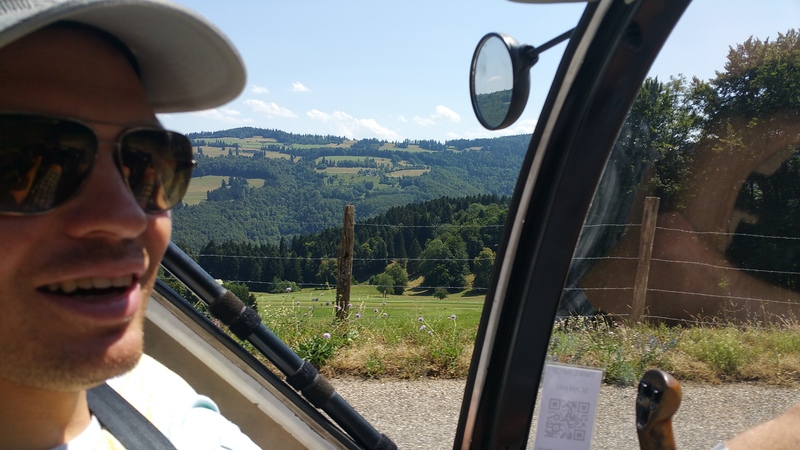 We arrive at the top and drive the last few hundred metres along the ridge towards a prominent TV and telecommunications relay station we’ve been able to see for the last hour or so whilst driving through the Jura. 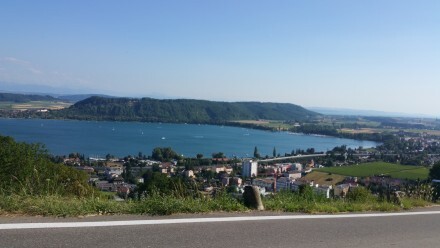 Driving along the ridge gives us a magnificent view of the so-called Seeland, a region with three lakes in close proximity to each other, surrounded by bilingual cities and villages. 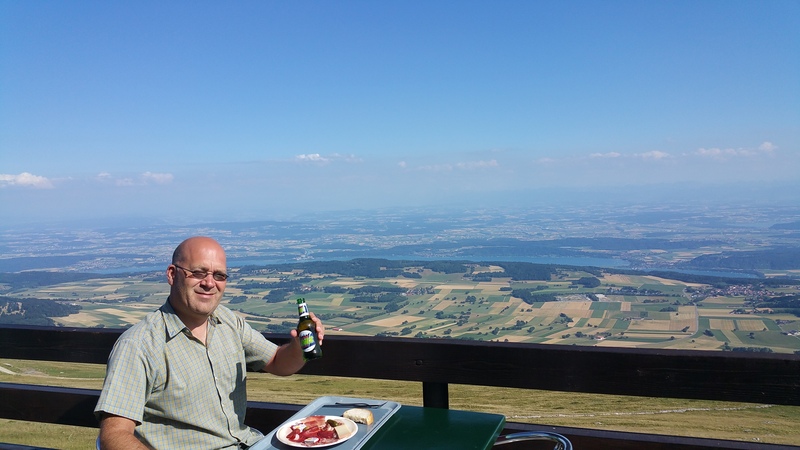 As always – readers of my blog will know what comes now – a region of Switzerland definitely worth a visit! I strongly recommend the old town of Morat (aka Murten) and smaller villages such as Twann and la Neuveville. 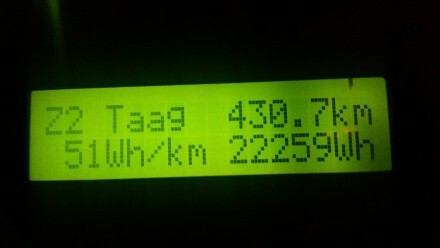 We arrive at the end of the road with only 6% of our charge left. 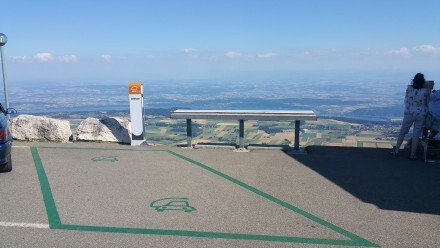 Although it is inadvisable to fully charge an electric car at the top of a mountain, we still want to get to at least 90% during our stay here. 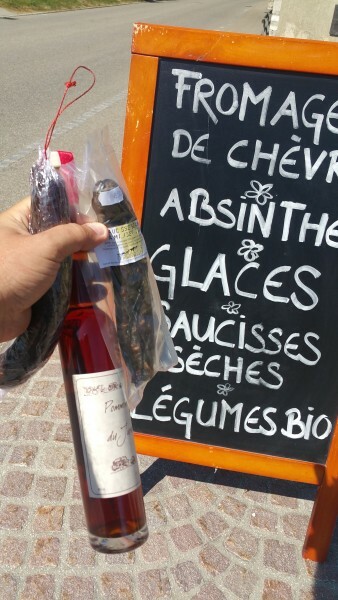 After all, we’ve had not much more than an ice cream in Montfaucon today and are hungry! A charging station has made it up to here! I bet it’s one of the only ones in Europe with a view as beautiful as the one here! failed business cases around charging infrastructure which should actually be ubiquitous and free like WiFi, designed by people who – ironically – don’t drive electric cars themselves! Well, here, finally, we’re getting somewhere: I don’t have to be a MOVE-customer to be able to charge. I can send a SMS to activate the station but have to pay an exorbitant amount of money for each kWh – again: No deal! Seeking alternate charging options, I start chatting with the owner of the restaurant who is an ev-driver himself. He absolutely understands my point and lets me charge off one of his three-phase plugs at the back of the restaurant. 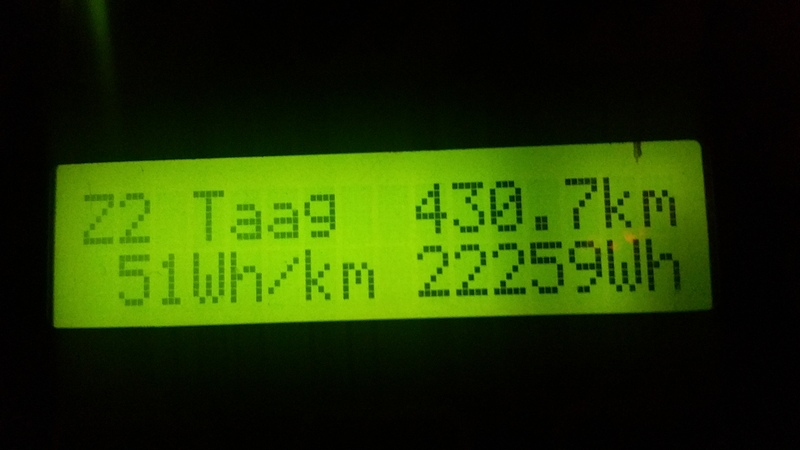 Wanting to offer him something for the charge, he promptly takes me to a display showing us how much energy is coming off his roof – we’re charging at around 7kW -> close to 95% of our charge is completely solar and essentially free. 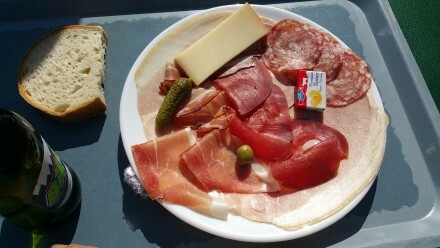 Nico and I get a table on the terrace and order some local food. 45 minutes later, both the TWIKE and us are ready for a descent towards the Seeland. 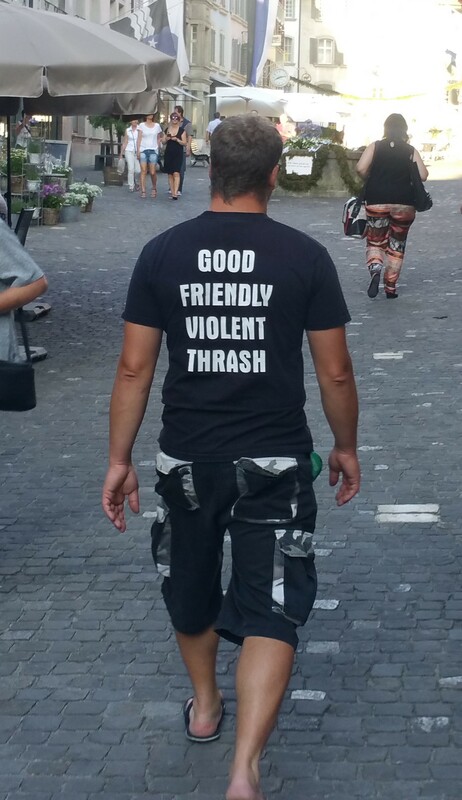 We thank the restaurant’s owner who sees us off personally. 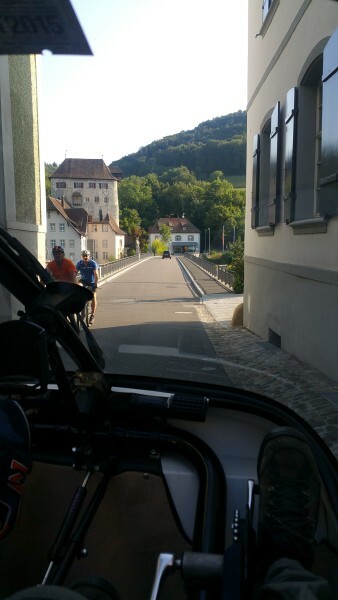 Arriving at la Neuveville, TW560’s battery is at 100% and we’re ready for a relaxing drive back towards Zürich. 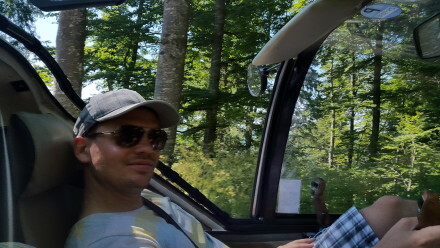 The drive towards Zurich is very nice. We eventually arrive in Lenzburg, a quaint little town with a very nice castle nestled above town. 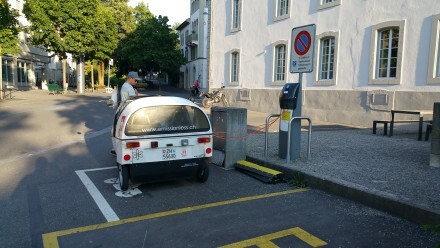 For us, however, this is an ideal spot: right in the middle of Lenzburg’s old town and we can charge at 3*3.7kW – HA! 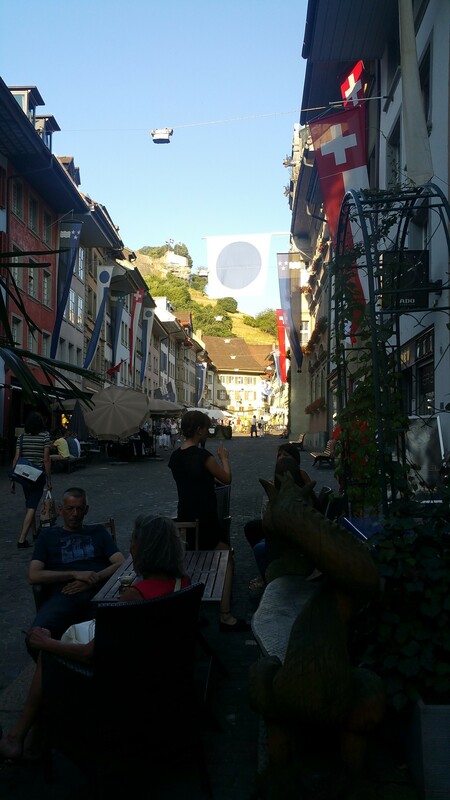 Lenzburg’s old town beckons! Nico and I are hungry again…and a drink wouldn’t hurt either. 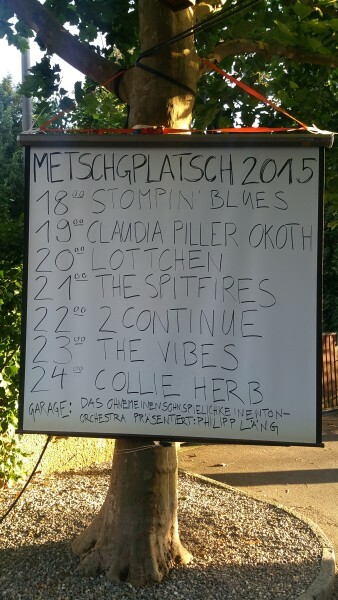 As a bonus for us, this very evening, Lenzburg has an event called “Metschgplatsch” – a few stages in midst of the old town, local bands, local food from stalls…and local beers! YAY! We like the informal groove of this event. Everything feels very impromptu and relaxed. We have some pulled pork sandwiches and a few more beers whilst listening to the bands playing. Having a good time, invariably leads to time flying. Soon it’s nearly midnight and we’ve still got quite some road ahead of us.